Welcome to the next installment in our series series Your Wealth Journey Investment Insights: Using Group Intelligence for Buying Low and Selling High. 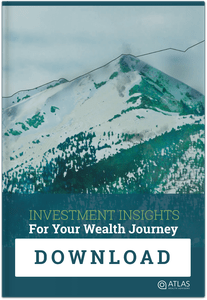 Welcome to Your Wealth Journey’s Investment Insights Series! If you’ve ever set off into the wilderness, you know how freeing it can be to have someone there to lead you. A map and a plan are helpful, but nothing beats walking a path with someone who is familiar with the terrain. Brexit Fears - What Should You Do?